With the short essay “Film Appreciation” to herald my entry into the world of movie blogging and reviewing, that I’d posted on the 28th of May, 2008, I believe I started a journey. 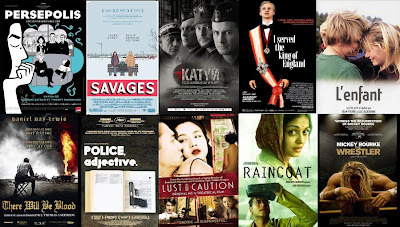 A journey wherein I saw a host of good and not-so-good movies and provided capsule reviews for nearly everything that I saw; and I can safely say that I’ve been reasonably involved in my venture, if not prolific. 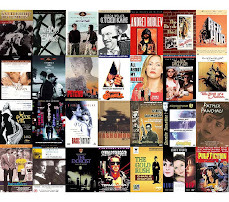 Nearly 400 movie reviews in around 2 years – not a bad figure I’d say. But what made this activity all the more enriching and memorable were the friends and acquaintances that I made over the blogosphere in these 2 years. Though I haven’t personally met most of the people blogrolled at my place, it was our mutual appreciation for the medium and willingness to share our opinion over the internet that got us all acquainted. 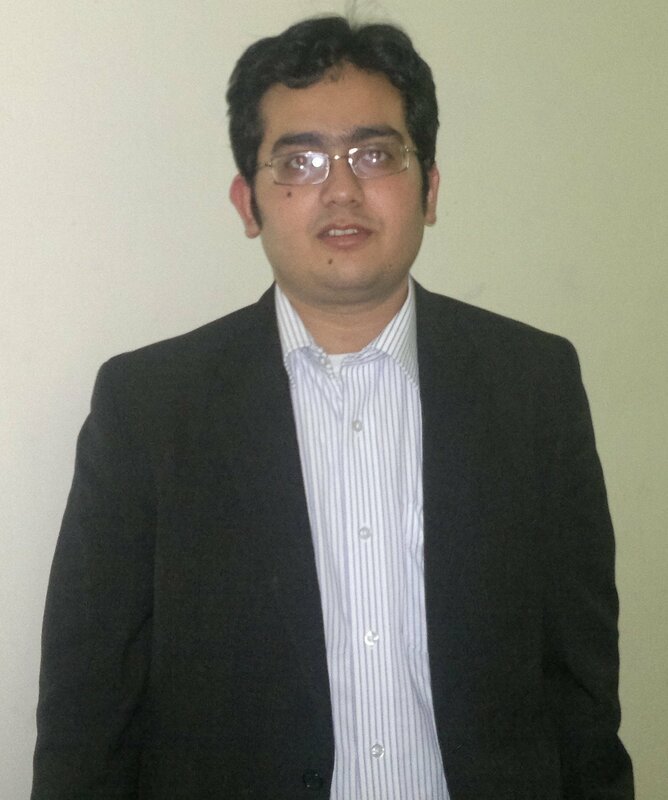 I would like to take this opportunity to thank all the bloggers whose blogs I’ve especially loved frequenting, in order to both expand my understanding as well as to participate in debates and discussions, for letting me be part of this wonderful community. Some names & blogs that instantly come to my mind are: Sam Juliano @ Wonders in the Dark, Srikanth aka Just Another Movie Buff @ The Seventh Art, John Greko @ Twenty Four Frames, Jim Snavely aka Alex DeLarge @ Korovo Thetra, Ed Howard @ Only the Cinema, Iain Stott @ The One-Line Review, Dave Hicks @ Goodfella’s Movie Blog, Alex @ Film Forager, 1 Minute Film Review, Roy Stafford aka Venicelion @ The Case for Global Cinema, ZC @ Precious Bodily Fluids, Stephanie Lundahl aka Norma Desmond @ The Flick Chick, Troy Olson @ Elusive as Robert Denby, Kevin J. Olson @ Hugo Stiglitz Makes Movies, Samuel Wilson @ Mondo 70, Daniel Getahun @ Getafilm, MoviesAndSongs365, Omar Ahmed @ Ellipsis, Doniphon @ The Long Voyage Home, Tristan @ The Library of Babel, Movie Man @ The Dancing Image, Drew McIntosh @ The Blue Vial, Blake @ Bitchin’ Film Reviews, Dan @ Top 10 Films, Sitenoise at the Movies, Dan the Movie Man’s Reviews, My Floating Red Couch, Heather @ Movie Mobsters, Kim Morgan @ Sunset Gun, Ibetolis @ Film for the Soul, Rick Olson @ Coosa Creek Mambo, and so many more (I sincerely apologise if I missed your name). There are also people who graced my blog with their presence, like Maurizo Roca, Jani Laaksonen, Himanshu Rai aka Yayaver, Mahadyuti Adhikary, Arindam Gupta, Bhargav Saika, Little Girl Lost, Nitesh, Cute Priya, and my dear friends Sthito, and Piyasree, among others. 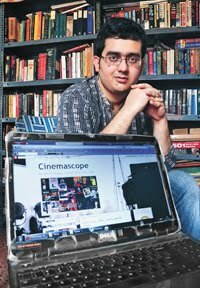 And now that I’ve decided to take my career and in turn life towards a new direction by opting for higher studies, I know my movie watching and reviewing here at Cinemascope will suffer terribly and will get cut down quite drastically. Nonetheless, let me ensure that as long as I’m there, this blog will not die since I’ve invested too much of time, effort and love to let it go without a fight. 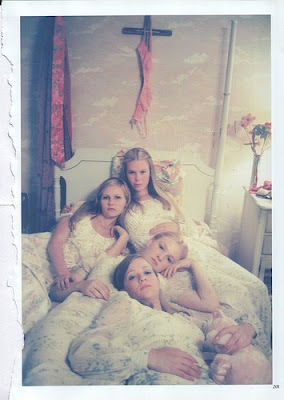 And I sincerely hope that the friendships and acquaintances made will not get lost either. 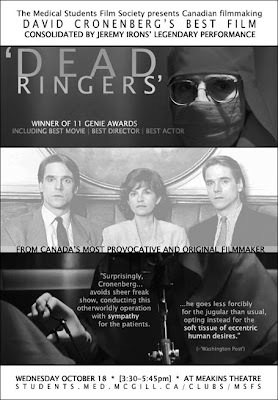 Made right after the tremendous commercial success he received for his remake of The Fly, Dead Ringers remains a creative high-point in controversial Canadian filmmaker David Cronenberg’s career. Cronenberg’s fixation with the grotesque side of human psyche was furthered in this intensely disturbing tale of two identical-twin brothers – the aggressive and suave Elliott and the introverted and sensitive Beverly, both renowned medical practitioners in the field of gynecology. Their radical breakthroughs in their field, however, obscure their shocking, even scandalous, personal “conquests”. However, when Beverly falls in love with an overtly promiscuous actress, his life starts falling apart courtesy clinical depression and addiction to prescription drugs; and with their eerie sense of equilibrium destroyed, it is a now matter of time before Elliott too gets sucked into the void of insanity. The movie is a relentlessly dark, brooding, unsettling and emotionally disquieting study on identity, perversity, misogyny, mental disintegration and raging madness. And at the forefront of this chilling and compelling tale of psychological terror, lies the virtuoso and devastating performance of Jeremy Irons as both the brothers, achieved through terrific use of SFX that set a benchmark for films portraying identical twins. 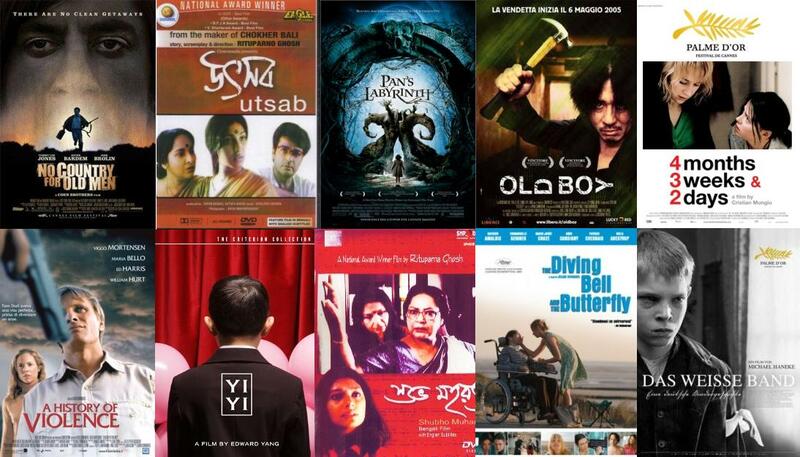 Avik Mukherjee, one of the finest cinematographers in the country, decided to make his directorial debut with Ekti Tara Knonje. I thus had a lot of expectation going into the theatre, and I must admit the film started off quite well; hence one might very well appreciate my disappointment when the promise wasn’t realised. 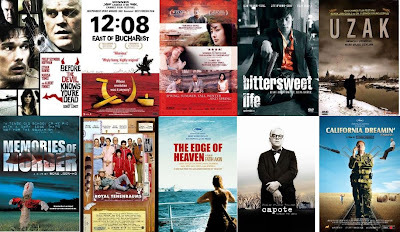 In a way, this movie about a small-town boy who comes to Calcutta to be in the movies and becomes an unwitting part of a crime syndicate, reminded me a lot about the disappointment I felt upon watching another movie by a renowned DOP turned director – Christopher Doyle’s Away With Words. The prime problem with this film lies in the director’s inability to rein in his indulgence into aesthetics without giving much thought on strengthening its narrative drive, more so because it was at the end of the day a plot-based film; consequently, the movie got turned into a collection beautiful but incohesive shots and vignettes. 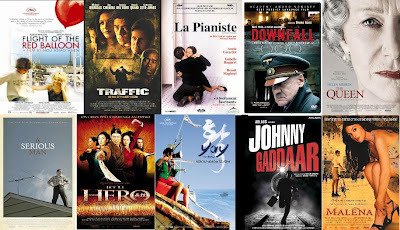 The second problem with the film lied in the director’s inability to control his urges where showing-boasting his film knowledge goes, and hence littering it with film references. Ironically, however, the film’s most memorable moment occurs when Dhritiman Chatterjee’s character enacts the “Of all the gin joints…” scene from Casablanca, followed by Shayan Munshi’s character playing out the “Someday a real rain will come…” sequence from Taxi Driver. 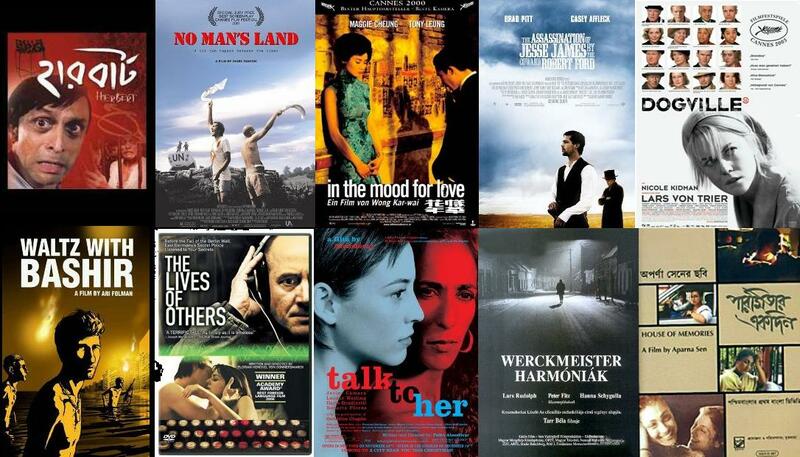 The film has some wonderful songs though. 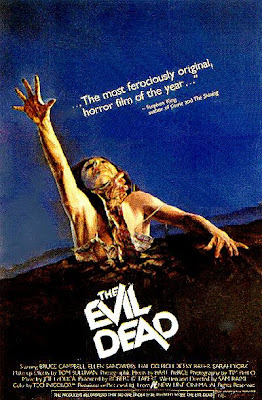 Sam Raimi’s iconic Evil Dead 2 is quite the opposite of his equally iconic debut film The Evil Dead. Though touted as a horror film, it is difficult to be fully considered as one by lovers of this genre as it borders more on the parody front, and has equal doses of over-the-top gore and black humour, unlike the earlier film that was far more genuinely spooky. This cartoonish quasi-sequel saw the return of Ash to the haunted cabin by the woods with his girlfriend. But soon enough she turns into a dancing headless corpse, while he has to fend a new fiend in the form of his hand which gets a mind of its own upon being bitten by her decapitated head. Meanwhile the daughter of the archeologist, who had discovered the “book of the dead” and whose recorded chants had set the evil spirits free, arrives, and must now stop the ghouls once and for all along with the chain-saw wielding Ash, i.e. when Ash isn’t possessed himself. Diabolically funny, unapologetically over-the-top (though with the gore-quotient exponentially clamped down vis-à-vis the first part), and relentlessly fast-paced, this zany roller-coaster of a ride has continued to hold a cult status among B-film aficionados. And the comic talent of Bruce Campbell is on unbridled and uninhibited display here. Along with Gold Rush, The General forms one of the greatest silent screen comedies. However, where the former painted a devastatingly acerbic picture of heartbreak and suffering, the latter, set against the turbulent times of the American Civil War, is an example of wholesome fun and undiluted entertainment. And in Buster Keaton, one of the giants of the medium, with his deadpan, expressionless face, we have here the perfect archetype of a common man who ends up doing some spectacularly uncommon deeds. Keaton stars here as Johnnie Gray, a railroad engineer, who has only two loves in his life – the locomotive he drives and the lady he loves. However, when he is refused to be enlisted during the war, his sweetheart turns her back on him. Fortunately for him, he gets to redeem himself before her eyes, and in what glorious fashion, when both his locomotive gets stolen and his lady gets hijacked. Set against a pulsating soundtrack, the film abounds in a series of remarkable and hilarious sight gags and two unforgettable train-chase sequences that are part of cinematic folklore. Interestingly, Keaton performed all the stunts himself, including some decidedly dangerous ones, as he did in all his films. Despite the advent of sound and technology, the film still remains one of the most ingenuous and exciting comedy and adventure films ever made. Though I’m not particularly fond of zombie flicks and gore fests, one can’t help but give The Evil Dead its due. One of those rare B-films that even mainstream audiences have watched, the infamous Sam Raimi debut feature remains a cult classic like few others and a landmark film of the 80’s. It begins with a low tracking shot that instantly sets the tone for the movie in terms of spatial disorientation and paranoia. And soon enough we are apprised of its plot that have become a cliché in American horror films – a group of young friends making a stopover at a cabin in the woods that can’t be anything but haunted by ghouls and evil spirits. 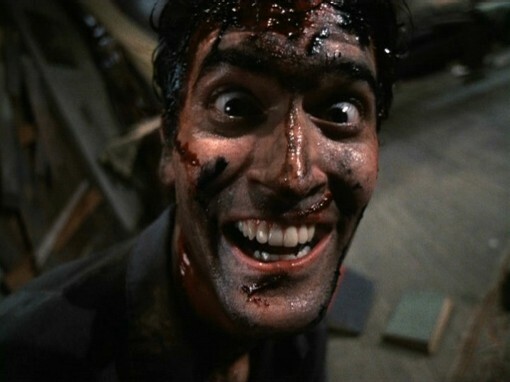 The film and its sequel turned Bruce Campbell, in the iconic role of Ash, into a legend among B-film enthusiasts. However, what the film lacks in depth or weight, it more than makes up for that with its frenetic pacing, moments of genuine suspense and nightmarish atmosphere. 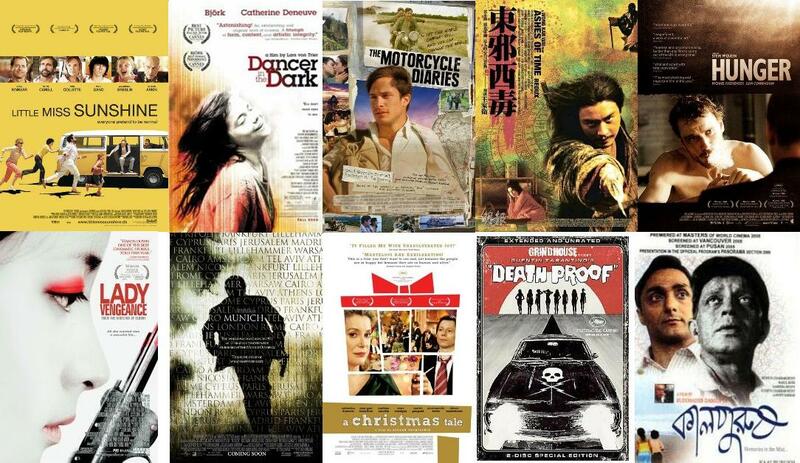 And given its low-budget, the film is a testimony as to optimizing one’s resources through creativity. And as for preserving the spirit of its notorious genre goes, the film abounds in classic bad acting, cheesy plot developments and gleefully outlandish display of blood, gore and other not-so-precious bodily fluids. Yet, despite its schlocky and disreputable splatter film sensibilities, there’s no doubting the fact that Raimi must have had one hell of a fun time in conjuring this “Ultimate Experience in Grueling Terror”. Dennis Lehane’s books tend to be ready-made recipes for dark, brooding movies, cases in point: Clint Eastwood’s Mystic River and Ben Affleck’s Gone Baby Gone. 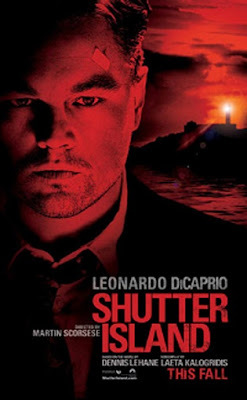 This time around we have the little giant Marty Scorsese adapting a Lehane book for his Shutter Island. Scorsese sure must have had some fun while making this overtly plot-based movie filled with the kind of genre conventions, tropes and B-film sensibilities, even bordering on kitsch at times, certainly not reminiscent of the kind of masterwork that he is renowned for. 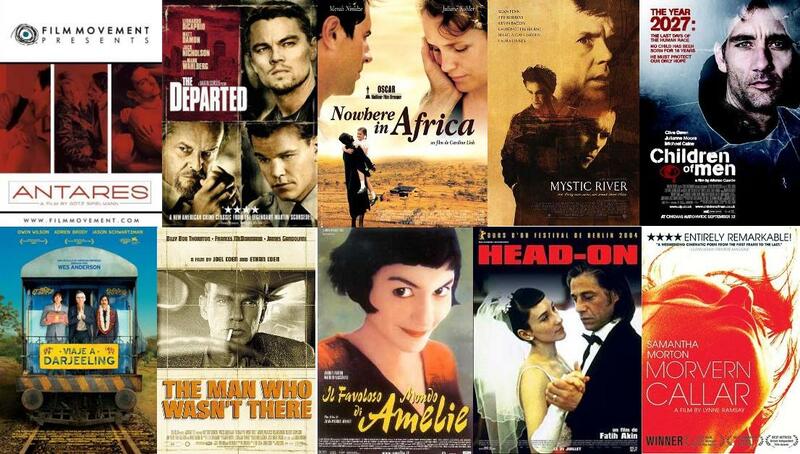 But that certainly shouldn’t mean that the film is not enjoyable, rather far from it. 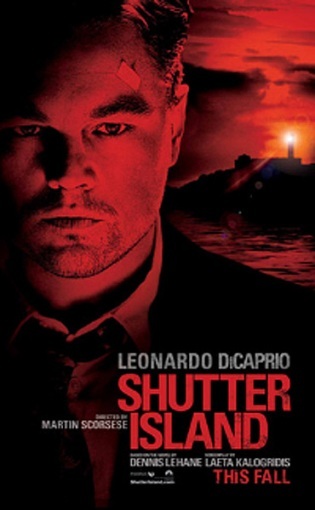 Set on the eponymous island that houses a mental institution for the criminally insane managed by the mysterious Dr. Cawley (Ben Kingsley), former World War II veteran and federal Marshall Teddy Daniels (expertly played by Leonardo DiCaprio), who harbours some deep trauma from his past, is sent there along with his sidekick Chuck (Mark Ruffalo) to investigate the mysterious disappearance of a patient, completely oblivious of the shattering twists that await him there. The stylized photography, moody atmospherics, tight editing and fine acting do make for a fair share of thrills and excitements. However, despite the themes of guilt and redemption dominating the proceedings and the ambiguous ending, at the end of the day it remains nothing more than a tense and reasonably gripping entertainer. 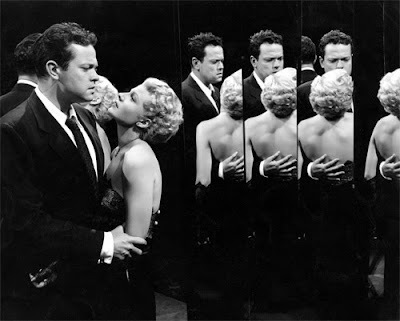 The Lady from Shanghai was the movie that wrecked Orson Welles’ reputation and nearly destroyed his career as a filmmaker in Hollywood. 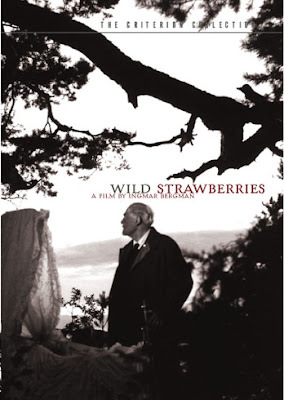 The film, considered too Byzantine by the studio bosses and a commercial failure upon its release, however remains one of the most important works of Welles. The noir stars Welles as an Irish seaman who falls heads over heels with a beautiful and seemingly soft natured damsel-in-distress (iconically played by Rita Hayworth) after saving her from muggers. Later, after given work by her invalid but wealthy husband, he keeps up their clandestine affair, completely oblivious of the fact he is being set up to be a fall guy all the while in her grand scheme of things. Though never as nightmarish or taut as his later Touch of Evil, and even bordering on theatrics and melodrama at times, this at-times uneven movie nonetheless has an air of melancholy, lost love and sad resignation all over it, brought through by the cynical yet lilting voiceover of our flawed anti-hero. The fact that Welles and Hayworth’s marriage was on the rocks and they were soon to get divorced, has only added a layer of cruel irony to the film’s unforgettable “hall of mirrors” climax and its fatalistic finale, immortalized by the bleak parting shot, “Maybe I'll live so long that I'll forget her. Maybe I'll die trying." 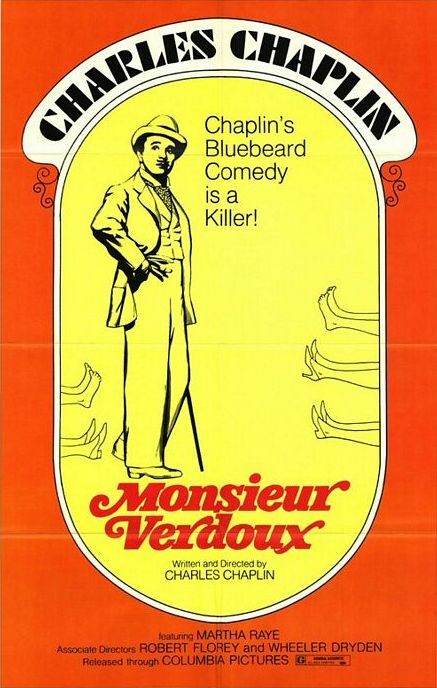 Monsieur Verdoux, though never canonized or anointed one of Charlie Chaplin’s best film, would nonetheless rank as perhaps the most singularly daring work of his filmmaking career. 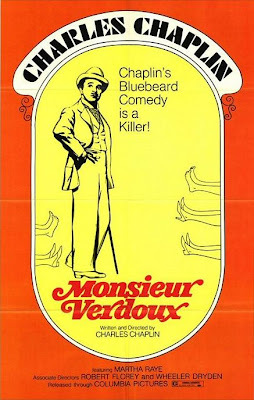 Released at a time when he was being witch-hunted for his communist leanings apart from facing personal (familial) crisis, Chaplin sounded the death knell for the beloved Little Tramp, arguably the most iconic character in the history of this medium, with this “comedy of murders” (based on an idea by Orson Welles). Where Welles was interested in a more conventional film on the subject, Chaplin turned the crime genre on its head by infusing it with tar black witticism, subversive humour and trenchant socio-political satire. Consequently, the movie, where Monsieur Verdoux, who can only be described by the moniker Chaplinesque, and brilliantly and inimitably played by the great man himself, goes about “liquidating” rich middle-aged women solely as a business proposition during the horrific times of the Great Depression, was too biting and ahead of its times for the audience to react favourably towards it. 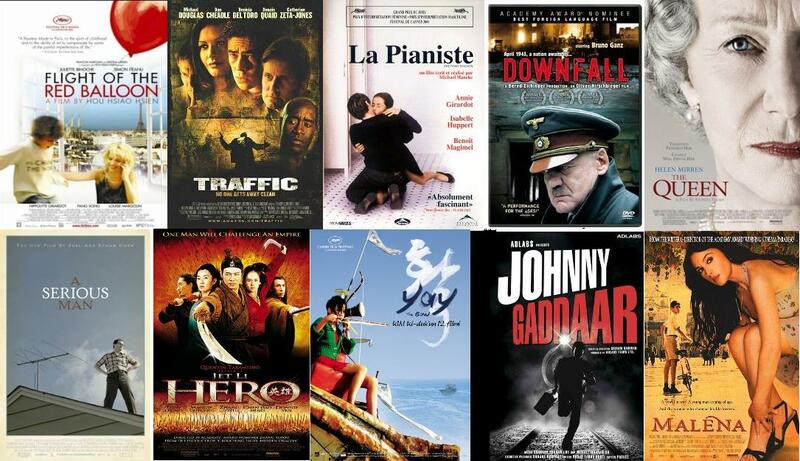 The film ends with the bleak pronouncement, “One murder makes a villain, millions a hero. Numbers sanctify”. However, despite its commercial and critical failure and the first major setback in Chaplin’s career, the film has fortunately and rightfully managed to get its due in terms of respect and adulation. As coincidence would have it (or was it pure coincidence? 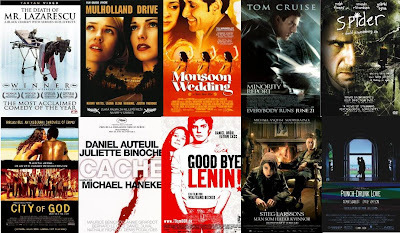 ), both Sam Mendes and Sofia Coppola made their respective feature film direction debuts in the same year, with Y2K fever raging in full throttle, with dark suburban dramas repudiating the American Dream – American Beauty and The Virgin Suicides, respectively. The latter film, directed by the great Francis Ford Coppola’s daughter, is a disturbing yet emotionally affecting tale of teenage alienation, repression, rebelliousness and insecurity; in other words, this is the polar opposite of the kind of inane teenage (or, chick) flicks that American producers like to flood the market with. 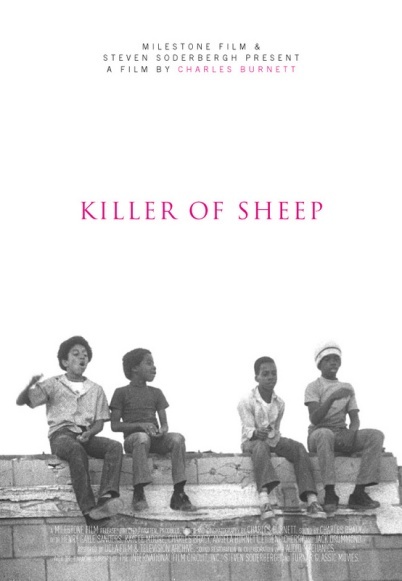 The film begins, on a year in the 1970’s, with 13-year old Cecilia, the suicidal youngest daughter of the Lisbon family, taking her life on her second attempt. And that sets in motion a self-destructive chain reaction whose repercussions result, approximately a year later, in the mass-suicide of her four older sisters at the film’s shocking climax. Told through the voice of one of the four young boys infatuated with the girls, the film is filled with a deep sense of nostalgia and melancholy throughout its smoothly paced length. The acting is first rate, with the then-young Kirsten Dunst providing a frighteningly matured performance as the promiscuous but inwardly fragile Lux, the youngest among the four remaining sisters. 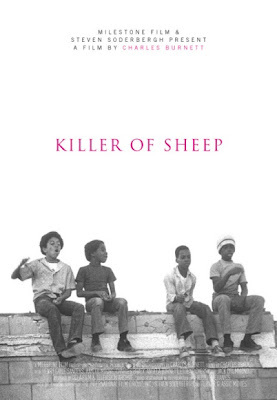 The debut feature of African-American filmmaker Charles Burnett, Killer of Sheep is considered a cornerstone in American independent filmmaking, and rightly so. 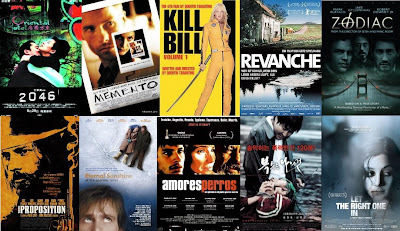 Shot in static, grainy black-and-whites and made on weekends for a budget less than $10,000 during Burnett’s student days at UCLA, the film’s making reminded me a lot of Nolan’s impressive debut film Following. Filmed in a Los Angeles ghetto resided mostly by coloured Americans, the largely plot-less movie offers touching, lyrical vignettes of the poor and socially isolated community. The cinéma-vérité style adopted works beautifully as the director goes about observing (without ever examining or putting on trial) the mundane lives of the residents and the simple joys and tribulations therein, through our simple-natured protagonist Stan, the movie’s eponymous killer of sheep, his family, his friends and acquaintances, and his squalid neighbourhood. 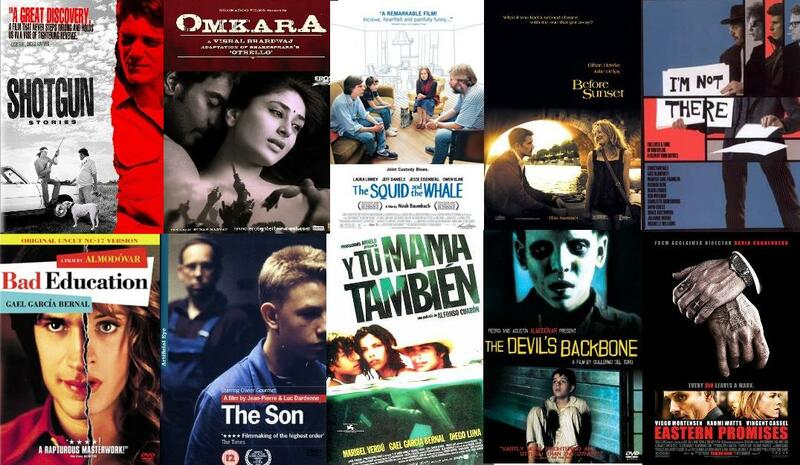 The most striking aspect about the film lies in its excellent juxtaposition of the unspectacular lives of the adults with the borderline delinquent activities of the children and adolescents. 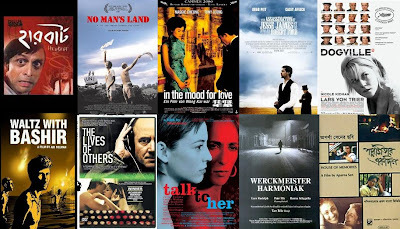 The poignant, bittersweet and humane work is provided a dose of subtle, wry irony through its beautiful jazz and blues soundtrack, and a host of nuanced performances. 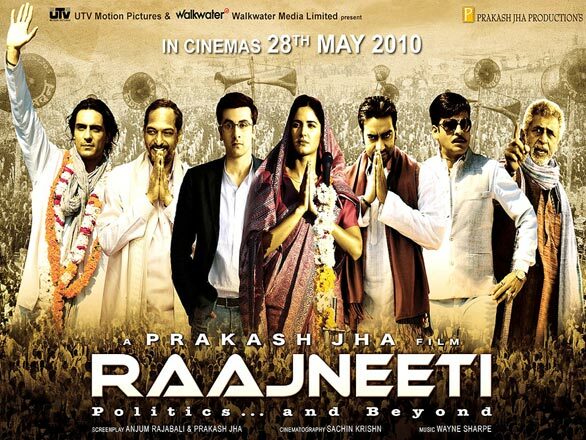 Prakash Jha’s Raajneeti, as the name suggests, is a no-holes-barred indictment against dynasty-based, votebank, dirty politics that is quite prevalent in India, in general, and in the North Indian states, in particular. This Mahabharata-weds-Godfather epic shows two warring political families who would go to any lengths necessary, including blackmail and murder, in order for them to win the Chief Minister-ship of the state. The film boasts of a packed, powerhouse starcast – Nana Patekar has given the best performance of the lot, with able turns by Manoj Bajpayee, Ajay Devgan and Arjun Rampal; Ranbir Kapoor has turned out to be a surprising revelation as the cool, sinsister Michael Corleone-esque protagonist; even veteran actor Naseeruddin Shah has shone in his cameo as a firebrand Communist leader. Katrina Kaif, however, is predictably horrendous, and her horrible accent has turned out to be a hilarious parody of Sonia Gandhi, intentionally or otherwise. Though eminently watchable, at the end of the day, the film has turned out to be rather a mixed bad courtesy, largely, the overblown length. A more compact script and tighter editing might have made this reasonably effective film a far more powerful piece of work.